We watched this on VUDU. 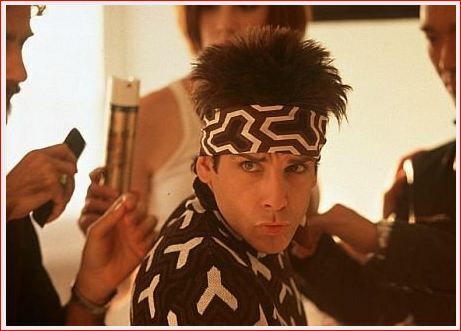 Ben Stiller (as Derek Zoolander) is the top male model in the world. Unfortunately, his brain power does not match his looks and this makes him the perfect person to train to assassinate the Prime Minister of Malaysia. Will Ferrell (as mega designer Jacobim Mugatu) is off the wall bad in this part. Owen Wilson (as the new top male model, Hansel) is not quite as bad. The rest of the cast just hams it up..
Lots of cameos so be alert and name all the stars. Stiller’s mother and father have roles (Jerry Stiller, Dad, has a big role as Maury Ballstein head of Balls Models, very funny, they are male models). Thanks for commenting here. Yeah, like we talked about on Facebook, Will Ferrell made me feel really uncomfortable. Very weird.